Board index Past SketchCrawls SketchCrawls 2008-2011 30th World Wide SketchCrawl !!! Nice sketches! Congrats on so mnay coming out in the cold to sketch. Somerset House is a great place to sketch. It was great to meet so many new people this time. Somerset House was an excellent choice. Thanks, Neil. 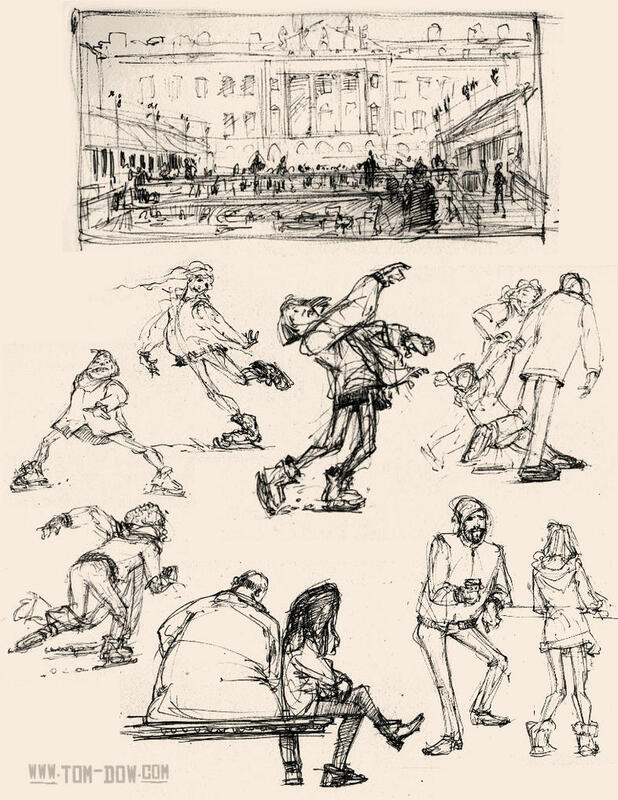 The skaters were such fun to draw. I personally did not think it was very cold at all. Inccredible sketches from London!!!! Very beautiful!!! Congratulations!!!! Hello - I'm searching for sketchcrawlers I can join - I heard about sketchcrawls through a fellow London Art College student (she does her sketchcrawls in Sheffield with Lynne Chapman - a children's illustrator). Anyways - if you're planning on going on another sketchcrawl, I'd totally love to join in if that would be ok - please do give me a shout when you book your next day.